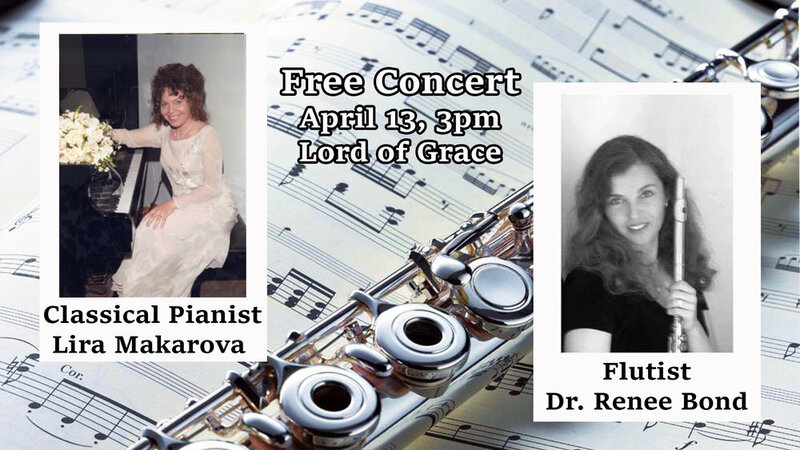 Join us for an hour of fellowship and beautiful music featuring classical pianist Lira Makarova along with accomplished flautist Renée Bond. The program will include selections for piano and flute with influences of Russian and European traditions. Ms. Makarova is a native of Russia who began studying piano at the age of 5 earning her Masters in Piano performace at the age of 18 from Kazan State University in Russia. She has been a U.S. Citizen since moving to Tucson in 1997. Ms. Bond is a concert artist who has performed in 12 countries including Carnegie Hall in the U.S. She earned her Doctorate of Music Performance from the University of Arizona where she currently teaches. 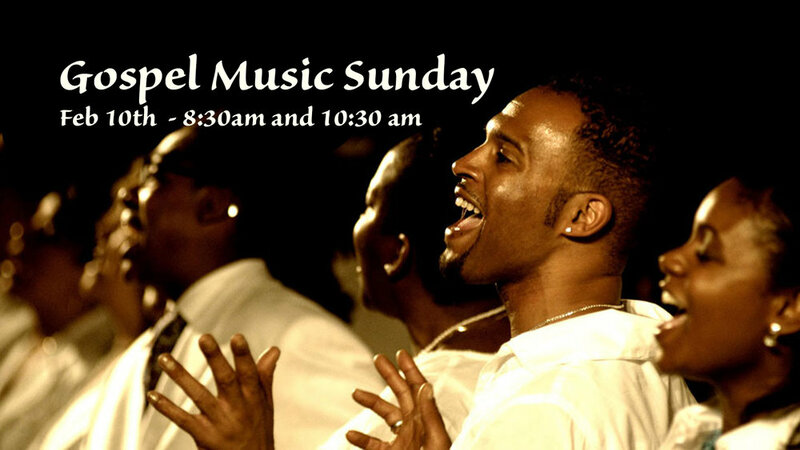 Join us for Gospel music and special guest musicians at both services: 8:30am and 10:30am. Another inspiring concert by the Lord of Grace praise band, with special guest musician Rudy Cortese, doing Country Gospel Music for us. The Lord of Grace Praise Team is proud to present an evening of Country Gospel music, featuring Arizona State Banjo Champion Rudy Cortese and other special musical guests. 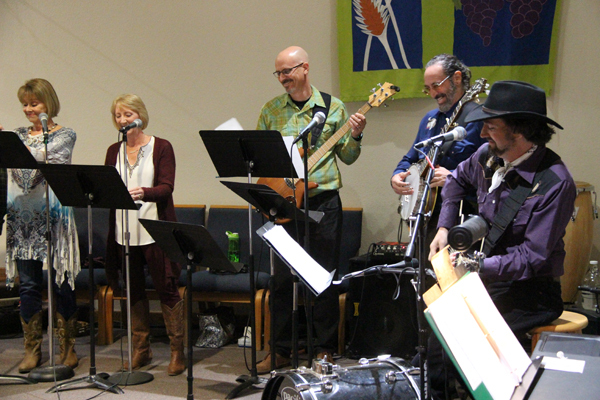 Led by local musician Stuart Oliver (founding member of 5-time TAMMIE Award winners for Best Bluegrass Band, The Dusty Buskers), the Praise Team is a harmonious six-piece ensemble that performs every Sunday at the 10:30am contemporary service. They will offer gospel favorites made popular by The Carter Family, Willie Nelson, Alan Jackson and more. 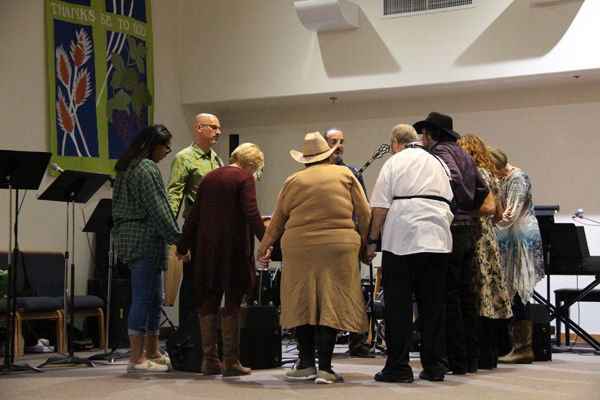 The concert will take place at the Lord Of Grace sanctuary, centrally located between the communities of Northwest Tucson, Marana, and Picture Rocks at the corner of Ina and Cortaro Roads. Light refreshments will be offered. We had a great time at Oktoberfest this year: beer, brats, and live music from Todd Martin and the Tucson Festival Brigade Band. Our band did a bang-up job again with a special music day - this day with a Mexican theme, in honor of Cinco de Mayo. Funky Sunday came back for one day this summer, with music from the time when Jesus was groovy, and youth pastors wore long beards and bell-bottoms (actually, everyone wore bell bottoms). Same worship, same Word, just some funky music.